Congratulations to our 3 winners of the "Blind Date" book challenge. Would also like to acknowledge Kim-Built Country Store for contributing gift certificates as prizes! 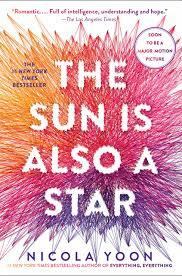 BOOK CLUB students are currently reading "The Sun is Also a Star" ..... a heartwarming story involving fate, family, race, immigration, deportation, lost dreams, hope, and first love. Book discussions are on Tuesdays in the media center from 12:05-12:30. CHROMEBOOKS AVAILABLE for checkout by students who may need to complete assignments at home. Simply click the link (under STUDENT FORMS) to print a copy of the Chromebook Check-out Form , sign it, and submit to the media center prior to checkout. Camera Check-out Form. Students and parents sign this form to take a video or still camera home overnight. Chromebook Check-out Form. Students and parents sign this form to take a school owned Chromebook home overnight. A collection of ebooks for all Minnesotans, covering a wide variety of subjects for readers of all ages. Features content from Minnesota independent publishers, including some of our best literature and non-fiction. Kimball Students have access to a limited number of ebooks. MnLink Gateway links MN public, college and university libraries together in one system from which we can search and borrow materials statewide. Four age-appropriate online encyclopedias featuring articles, news headlines, multi-media resources, websites and more. A gateway to Consumer Health, Student Research, Business Search, Points of View, Science Reference Center, plus 16 other powerful research tools. 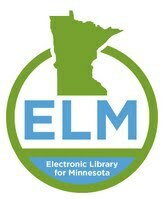 ELM (Electronic Library for Minnesota) provides access to a wide variety of research and news information, made possible through state library services and the MN Dept. of Education. Database of newspapers including the New York Times, St. Paul Pioneer Press, and USA Today. A combination of 14 unique databases, intended for high school students covering all subject areas. An online catalog of books and other materials held in libraries worldwide. Digital access to the Star Tribune. 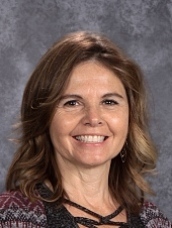 See Lori Miller, HS Media, to register a username and password. Online collection of artwork from around the world. *Some research databases require a username and password, made available to Kimball students and staff. Brochures with description details of each database, including login information, are available in the High School Media Center.